Before ABC found megahit success with Desperate Housewives, its Sunday 9/8c slot was occupied for three years by the JJ Abrams spy drama Alias. It opened with 15 million viewers and a 6.2 demo rating on 9/30/2001, plummeting to 4.4 in week two and then rebounding big to 5.2 in week three. 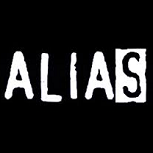 One of the notable things about Alias on Sunday was that its lead-in for seasons one and two (ABC's "Wonderful World of Disney" movie franchise) wildly fluctuated from week-to-week; Alias often saw its lead-in change by a couple points from episode to episode, and much of that translated to Alias itself. So it didn't really "settle"; it averaged high-4's in the first half of the season, but that could be anywhere from low 4's to low 5's in any given week. And the low-4's average in the second half ranged from mid-3's to high-4's. Alias dropped 1% in 2002-03, a year of league average increase, but it was a more valuable part of the lineup as both the lead-in movies and lead-out The Practice became much weaker. And though its 1/26/03 airing is often derided as one of the biggest post-Super Bowl debacles (with 17.36 million viewers and an 8.3 demo rating starting after 11:00 ET), that exposure actually had more of an effect than most Super Bowl lead-outs get. Alias' 5.2 the next week was the regularly-scheduled season high, and it had several more above-average ratings across the rest of season two. ABC scrapped the movie franchise for cop dramedy 10-8 in fall 2003, which gave Alias a more consistent lead-in... unfortunately, it was consistently bad, usually somewhere in the 2's. Alias built big on 10-8, but usually not big enough to break a 4.0, and it didn't really get any boost when 10-8 gave way to the much stronger unscripted newbie Extreme Makeover: Home Edition in the spring. With Home Edition in place on Sunday, ABC was ready to overhaul the night, and that got Alias held off the fall schedule for season four. But it ended up working out quite well for Alias, which paired with the new smash that had really made Abrams' Bad Robot a household name: Wednesday 8/7c drama Lost. Alias opened with a new regularly-scheduled series high 6.6 on 1/5/05, with reasonable enough retention of Lost (8.4). But after a couple more weeks in the high-5's, Alias was pretty much back to its normal 4's and 3's, and by the spring it was struggling to retain even half of its Lost lead-in. Once again, ABC wanted to use its big newbie success to launch other new series, so Alias had to move again. This time, though, it didn't find nearly as favorable a situation. Left to lead off the black hole that was ABC Thursday, nearly half the Alias audience vanished. After seven weeks in the low-2's, Alias was yanked from the slot and announced as the final season, and the rest of the run pretty much aired wherever the network could find an opening. None of those situations could get Alias back into the 3's; there were two Wednesday 10/9c tries in December, then a four-month hiatus to accommodate Jennifer Garner's pregnancy, then a Wednesday 8/7c run in the spring as a lead-in to Lost. And the series finale was a two-hour telecast on Monday, May 22, 2006, averaging 6.7 million viewers and a 2.7 demo rating. Not included: the post-Super Bowl airing (17.36 million viewers and an 8.3 demo on 1/26/03).